The royal wedding of Prince Harry and Meghan Markle is about to start. 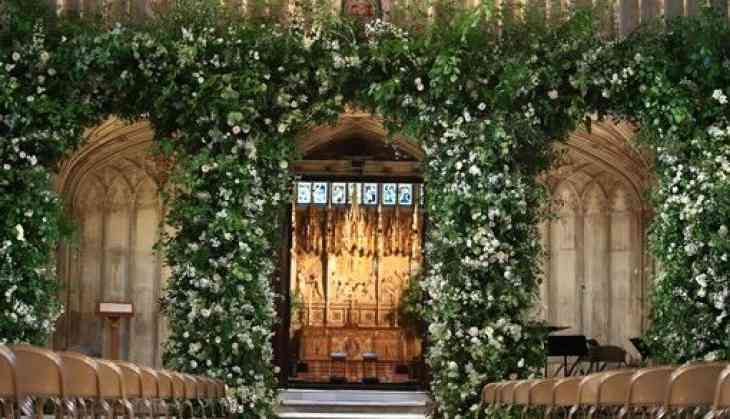 This is how St George’s Chapel has been decorated with floral displays. White peonies, white garden roses and other white blooms are used to form the central arch. The floral display features foxgloves, branches of beech, birch and hornbeam. The display has been carefully crafted by floral designer Philippa Craddock. Ahead of the royal wedding Prince Harry and Meghan Markle were given the honour of Duke and Duchess of Sussex. Similarly, Prince William and Kate Middleton were given a royal dukedom on their wedding morning.